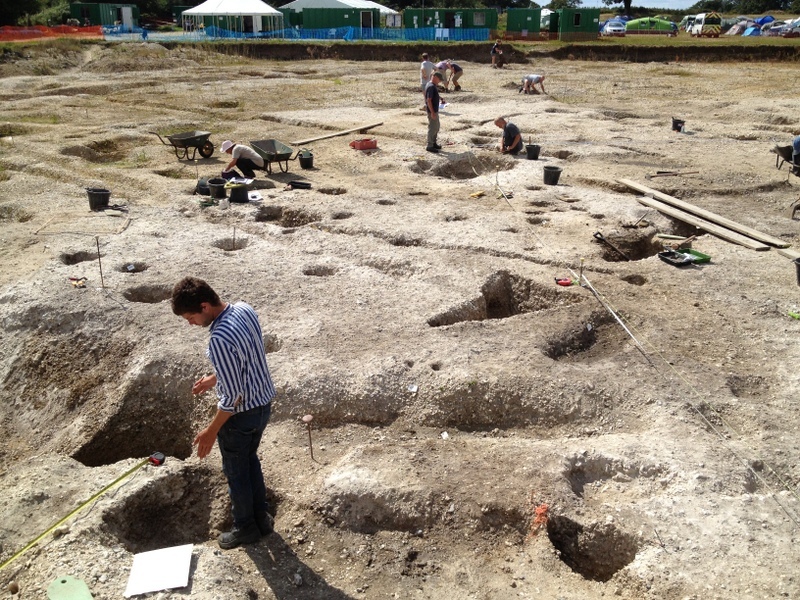 ← Saturday: Young Archaeologists at Silchester! 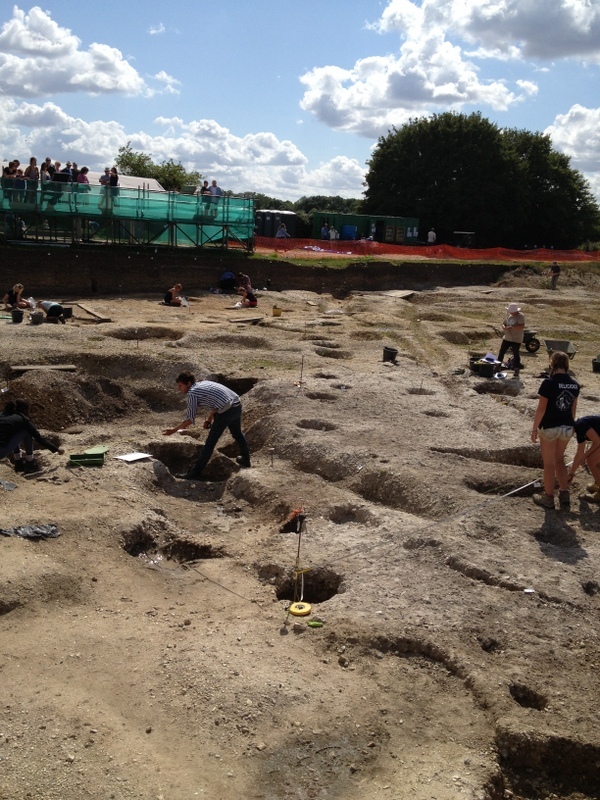 Lots of visitors today…a sunny day drew the crowds. Over 300 general visitors, which kept Zoe and her team on their toes! Mike and I spent time with friends and special visitors, including lovely Nina Crummy and her husband Philip. 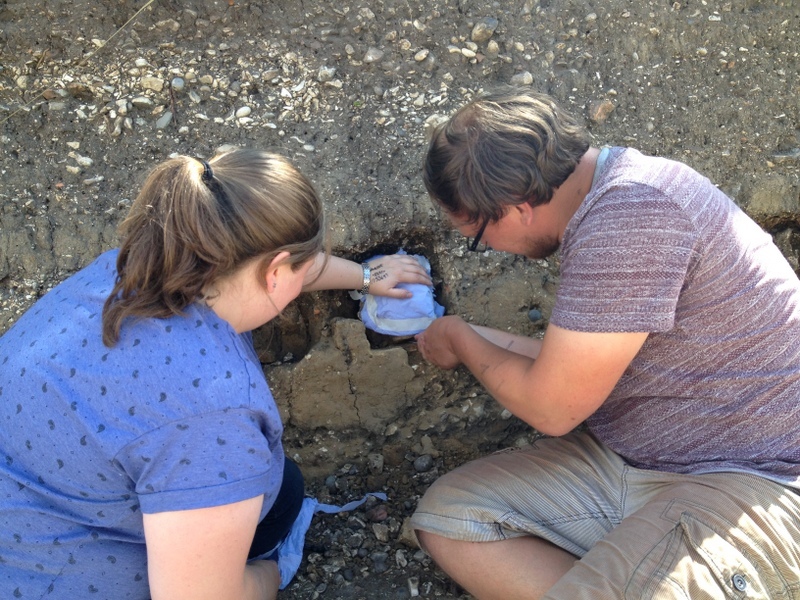 Nina ‘looks after’ our small finds from the site – identifying, advising, interpreting…and Philip, as Director of Colchester Archaeological Trust, is a good pair of eyes to share our archaeological discoveries with. 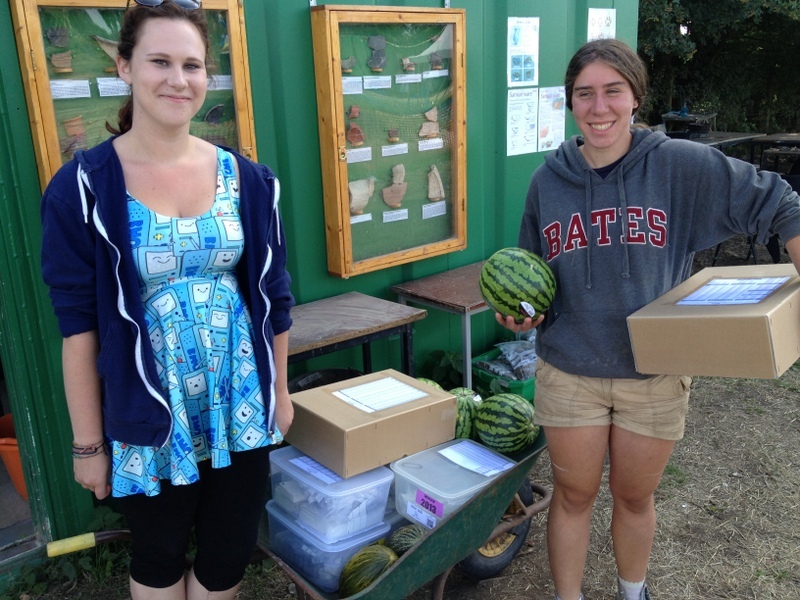 Nina brought 6 melons for tea break! They are currently ripening in the cook hut and will be shared one sunny morning soon. 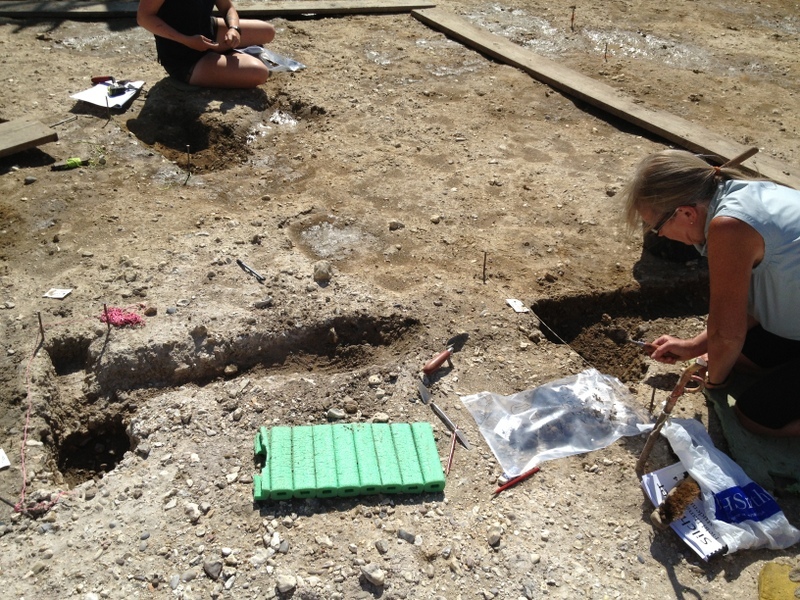 Rowena Banerjea was with us on site yesterday, taking micromorphology samples for analysis back at the university. Cindy’s Team Science spent much of today removing the final samples from the chosen sections. 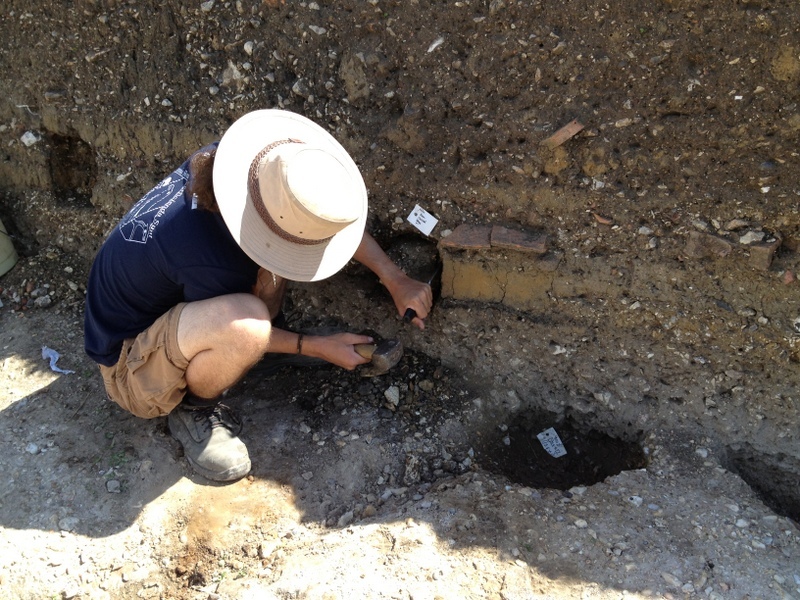 A few site pictures: Sarah and Su’s south-east area nears completion with the excavation of a posthole alignment linked by beam slots. 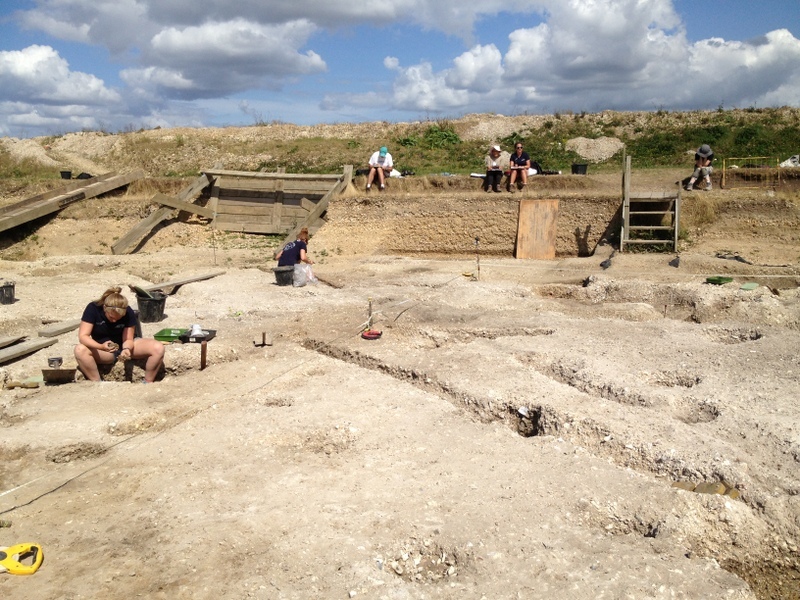 This is part of our earliest Iron Age hall in this area.